Selling on Amazon is the one of the most important decisions I’ve ever made. Plenty of “make money online” trends come and go, but creating and selling best selling products on Amazon has consistently provided me great returns and the freedom to do what and go wherever I want. 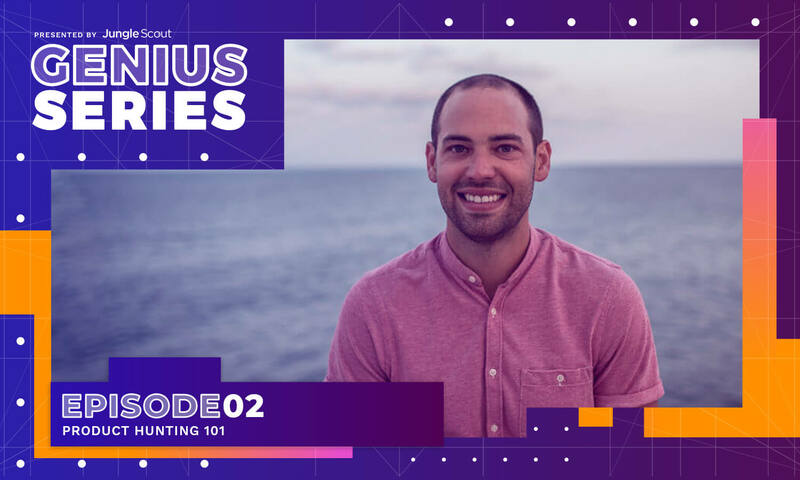 Previously, in the Genius Series, we covered the four main phases of selling on Amazon. Today (and the next few weeks) we’re going to focus on what’s probably the most important topic of all. This is a topic that you need to spend the most time on, too, especially if you plan to find success selling on Amazon. And that is product research. I’ve found this rule to be true in nearly everything I do. Only one out of five stocks in my portfolio seem to do better than average. Every fifth book I read has a lasting impression on me and my business. And, of course, of all the effort I put into selling on Amazon, the first 1/5th of the work I do–that all-too-important research phase–accounts for 80% of my profits. 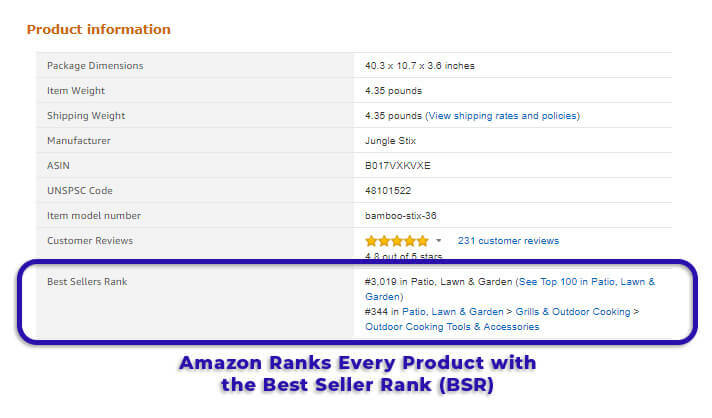 Great research is responsible for all of my best selling products on Amazon. If you plan to find success selling on Amazon, you must do thorough product and market research. Product Hunting 101 should really be called Economics 101 as it’s just a repurposing of the laws of supply and demand. Supply and demand is the backbone of modern economics. As a Amazon Selling Genius, it’s important that you know it. Demand refers to the quantity of a product or service that is desired by consumers. That quantity is the amount of a product that people are actually willing to buy at a particular price. Meanwhile, supply is how much the market actually offers to those buyers. Traditionally, when demand is high and supply is low, prices and profits are high. And when supply is high and demand is low, prices and profits are low. On Amazon, we can determine supply by the average number of sales a niche product category has each month. Thus, the higher the sales, the higher demand. Also, we can determine supply by the number of sellers offering that particular product. The higher the number of sellers, the higher the supply. Therefore, to discover a best selling product on Amazon one must find products with high average monthly sales volumes (high demand) and not too many competitors selling in that market (low supply). As you can see, the marshmallow sticks that we’re selling on Amazon for charity have a BSR of 3,019 in Patio, Lawn, and Garden. Back when I started product hunting for the best selling products on Amazon, all we had were spreadsheets to filter our products (and we had to do it all in the snow, walking uphill!) There weren’t any fancy apps or tech to do it quickly. 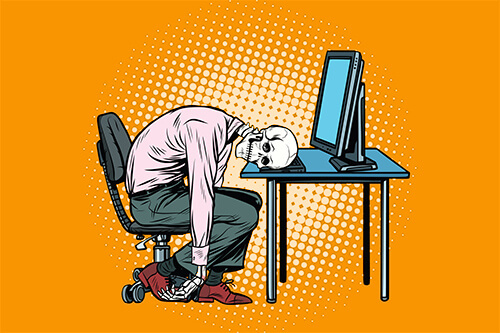 Actual photo of a seller still using the Old School Spreadsheet Method. What we would do was go through each individual product listing, write down the product’s best-seller ranking, guesstimate what the sales were, and average it all out. Then we’d enter that information into a spreadsheet by hand. Sure, this was a free’ish way to do it, but a single product could takes 2-3 hour to do it this way. Pick the wrong product, and you might find yourself wasting a whole lot of time. 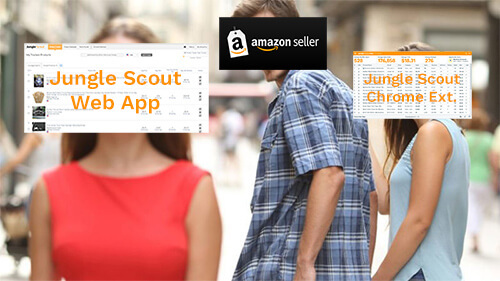 Needless to say, the old school spreadsheet method is not very competitive in the modern Amazon selling environment, and not one we recommend to our Amazon Selling Geniuses. This is great to get a head start, and for checking demand for a single product. However, when doing product research, you’re going to want to know what the overall market for that particular product niche is like, and the more accurate your sales estimates are, the better! That’s why inside of the Jungle Scout Chrome Extension and Web App, we’re using millions of data points and smart algorithms to predict Amazon sales estimates with great accuracy. Doing product research effectively and finding best selling products on Amazon is a challenge all private label sellers face. Picking the right product to invest in is critical. Smart sellers want to make faster buying decisions, backed by reliable data. This is why Jungle Scout was built. But not only have we replaced these manual methods that I described above. We have also recently relaunched our AccuSales™ unit sales estimation engine. To put it simply, the sales estimates you find in the Jungle Scout software are more accurate than ever (and, the most accurate in the industry). From there, a smart machine that is made up of specialized systems and customized algorithms generates the most accurate sales estimates there is. When we were all doing this manually, we were simply looking at BSR and sticking a finger in the air. No more! We now have real data and clever systems that reverse engineer Amazon’s own algorithms and predict sales with precision. To find out more about the AccuSales™ estimates engine, read the full article! 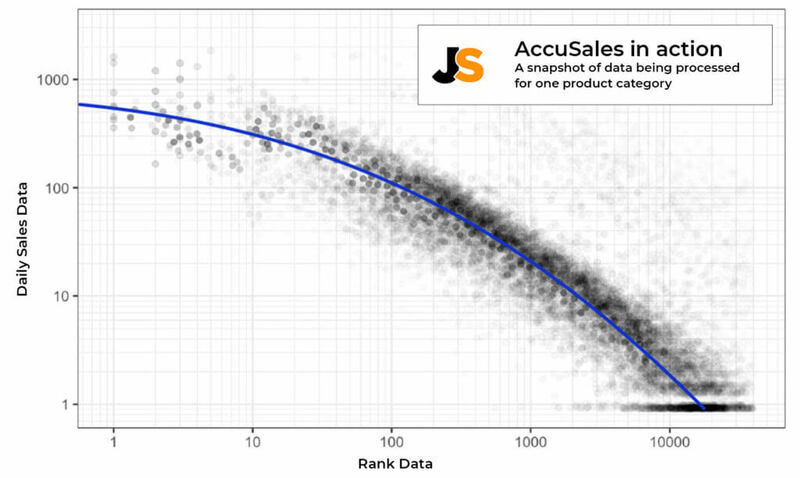 Using this data, we’ve created two valuable pieces of software to help you find best selling products on Amazon. Both the Chrome Extension and the Web App are being powered by the smart AccuSales™ unit sales estimation engine that I mentioned previously. Many thousands of sellers are using these tools together to cut down the time they spend on product research by up to half, verify product ideas with reliable data and track products during the research phase and beyond! Demand: How well all of the products in a single product category are selling. Supply: How many competitors are selling in that product category (and just how competitive are those competitors?). Innovation: How much room for improvement, if any, is available in that product category. Of course, that’s a lot of information to collect. So how can you do it? First up, there’s a nimble Chrome Extension. Essentially, this tool is your own personal assistant built right into your Chrome browser. It will do all the work of creating a spreadsheet and averaging out the product data in less than 10 seconds. All you have to do is press the button in your browser and presto: instant product research data. This is a game changer, of course. Instead of taking 2-3 hours per product, you can now do research on as many as 200 products per hour. Nowadays, it’s nearly impossible to do research without using this software. And even if you try, keep in mind that you’re competing against thousands of sellers who are using it! Of course, using the Jungle Scout Chrome Extension comes with an obvious drawback. You can get sales estimates and other useful data in an instant, but only when you are already searching for a particular product, or niche. One popular way to hunt for product ideas is to do just that: get lost in Amazon and stumble across best selling products on Amazon, then check the extension to see if there is demand, supply and innovation. But what if you could find product ideas by searching a huge database using specific criteria? What if you could automate tracking products that you are interested in? What if a tool would do the hard work for you and give you an updated list of product opportunities? Well this is what we discovered once we started getting feedback on the Chrome Extension. We discovered that sellers were still having trouble keeping track of all the products they were researching. So, another solution was needed. The Product Database helps you sort and dig through the millions of Amazon listings. That way, you don’t have to do individual searches like you would with the Chrome Extension. Simply set your parameters and watch it fly! Where the Product Database sorts listings, the Niche Hunter actually looks for cool, high-converting keywords. Not only does it spit out that oh-so-valuable average monthly sales estimate and average reviews, but it awards each search term our powerful opportunity score. And finally, there’s The Product Tracker, a tool that’s worth the price of admission alone (more on that below). Let me address a popular rumor: I swear I don’t hate spreadsheets! I love them! But why go through all the trouble of avoiding product research spreadsheets with the Chrome Extension, only to still use them to keep track of all the cool, best selling products on Amazon that you’re discovering. That’s where the Jungle Scout Web Application comes in, specifically The Product Tracker. It in itself is pretty rad (and super easy to sort and find high opportunity products), but where it really shines with how it combines with the Chrome Extension’s Million Dollar Button. I’m going to tell you all about that, but first, here’s a story you should read. A good Amazon seller friend of mine emailed me late one night swearing he’d found the perfect product. It had an average of 400 units per month in sales, low average reviews, and a solid 9 on the opportunity score. Plus, he’d already discovered a supplier that could make the product for less than 1/10th of the average price. That wasn’t the answer he was looking for, of course, but he took my advice, added the product, and waited. My buddy was prepared to spend nearly $7,000 on a product that wouldn’t have made at most $8,000 – $9,000 in twelve months. A pretty lousy investment! If you’ve used the Jungle Scout Chrome Extension for some time, you may have noticed that little “+” button off to the side. You’ve probably even ignored it. That button has not just saved me, my buddy, and countless others a ton of money, but it’s helped thousands of sellers track competitors through out the entire product life cycle earning them millions. The Amazon marketplace is a fast evolving platform. What works one day, might not work the next. Just like I told you before that it’s nearly impossible to find best selling products on Amazon without the Chrome Extension, it’s virtually impossible to succeed in the long run without tracking your market’s products. If you plan on being a professional, successful Amazon seller, it’s a total no-brainer in my book. Now You Have the Tools… What’s Next? So you’re well on your way to finding best selling products on Amazon. Of course, just knowing how to find products doesn’t mean that you’ll know exactly what sorts of products to look for. That’s why I want to give you a few more tips on what sorts of products you should source. 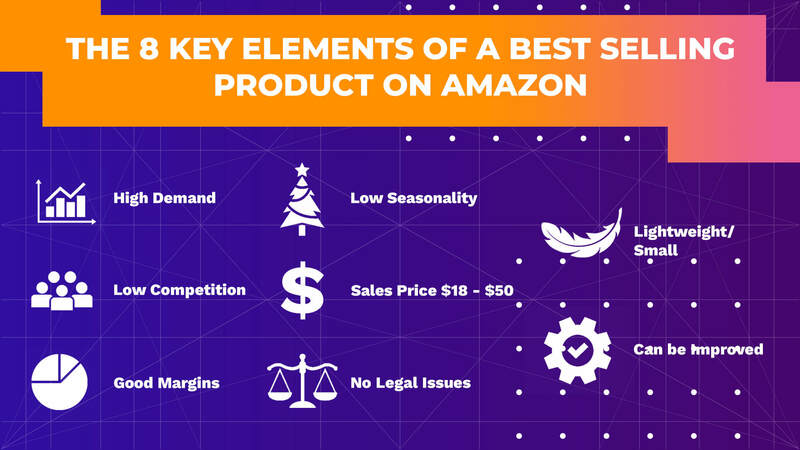 There are 6 Must-Have and 2 Like-To-Have metrics for the perfect Amazon private label product. High demand. We covered this earlier, but we typically suggest that new sellers look for products doing around 300 units per month. Any less, and it might be tough to make a great return on your product investment. Any more than that, and you may find yourself facing stiff competition down the road. Low competition. This is something else we covered. The best way to determine competition is by looking at the average review counts for the product niche on your Chrome Extension or Niche Hunter. Shoot for products whose top sellers have less than 100 reviews, and definitely no more than 200. Amazon’s referral fee (usually 15-18% of the sales price). Low seasonality. Starting out, you don’t want to pick a product that’s only going to sell one time of the year. Try to find products that are perennial sellers. Hint: products that make great wedding and holiday gifts stay busy year around. No legal issues. Keep it simple to start. Certain products can cause problems and may require a ton of paperwork and registration. Obviously examples include anything that needs FDA regulations like food and health supplements, but even mundane items like permanent markers need special forms–they’re considered HAZMAT! Ways to Improve the Product. In 2018, I’d almost go as far to say that this is a must have, too. The easiest way to find ways to improve products is through reading your competitor’s product reviews. Lightweight/small. Products under a pound that can fit into a USPS small-flat rate box (8 11/16″ x 5 7/16″ x 1 3/4″) are usually a home run. While it might be tricky to find products between $18-$50 that can fit in a box that small, I recommend looking towards stainless steel, leather, or fine wood, as those can help bring up prices and are surprisingly low-cost to source). In our next episode of The Genius Series, we’re going to teach you the “what to do” and “what not to do” portion of product research and elaborate on these metrics. Get familiar with the product criteria that you will be looking for: demand, competition, margins, seasonality and improvability. These criteria should be running in the back of your mind as your browse Amazon or the Jungle Scout database! Get realistic with your time: find the time in your week to spend on product research. An hour per day, or several hours over the weekend? It doesn’t matter to me, just make sure you schedule it in and stick to it. Once you are ready to get started, try to generate a list of 20 product ideas to get started. You can use the Jungle Scout Chrome Extension to validate ideas on the fly, and the Jungle Scout Web App to track those ideas over the coming weeks! First of all thank you for all the wonderful content, you guys are doing an awesome job. Having purchased both the Chrome extension and Web app, I am finding that I am still stuck at product research stage and as I watch and read more content, I’m getting more confused, and I have several questions. 1) I used the suggested criteria from watching MDCS Europe and that is slightly different from the suggested product research criteria here. Which criteria should I go for? Does this criteria now supersede the MDCS criteria? 2) The average monthly sales for most of the items that I have researched on the chrome extension hovers below the 200 mark, however the opportunity score is 6 or 7. I am assuming that the criteria to focus on is the opportunity score as this is based on more complex algorithm, is this correct? 3)Why does the Opportunity Score on the Chrome Extension change so frequently. I am using the software for the UK market and after doing an extensive product research using the Chrome extension and web app. I found that the opportunity scores for the products I have narrowed down to have changed from a solid 7 to a 6 or a 5 with some of the products? Do I continue moving forward with the product or is it now back to the drawing board. Great questions. Let’s see if I can tackle them! Arguably, what’s worked for me is a little different than what’s worked for Kym and the EU counterparts. But we all agree that there’s some areas you’ll need to focus heavily, especially in making sure you’re not entering a market with too much competition, you’re innovating your product, and you’re looking ahead to ROI. Those things will never change. The Opportunity Score is a great “quick look” at what you’ll need and can help guide you. But be sure to research further, looking at costs, ROI, and other elements. Additionally, try searching for the items in your niche using different search terms and comparing those opportunity score for each other. For example, a “red garlic press” might show up as an Opp 8, but then you type in “red garlic masher” it might be Opp 2. Sometimes, for whatever reason, “oddball” products slip into search results and muddy the product selection. One thing I do with the Pro extension is delete all irrelevant items (those that are nothing like mine) in the search and I’ll also remove ads. Then I’ll extract the next page and do the same there. As I said above, I’ll also do this for different search terms, too, to make doubly sure that the item I’m interesting in getting into is a bulletproof product. I can read this 2 ways — do you want the average review count to be under 100, or any of the top sellers to ideally have less than 100 review on their own product? I ask because I found a product I am interested in, but 1 seller is killing it with 2,000+ reviews, and all other sellers only have a handful. The seller doesn’t have a brand name or a trademark or anything else that I can see that is causing this; they just have many more color options/varieties than anybody else. You want to be pitching towards products where the top sellers all have under 100 reviews. It sounds like the product you are looking at has one seller with very high competition that you might struggle to beat. One thing that might help you to make a decision is to see how well the other sellers are doing in terms of monthly sales despite the top seller having so many reviews. Definitely something I would want to track over a period of time and fully verify if it’s a good opportunity, or too competitive. Very disappointed, the same information over and over; and lack of in depth of information . I was expecting more from GS. Thanks for the feedback! A lot of the content here is intended for newer sellers with updates for some of the big Amazon changes. As the series goes forward, we’ll also add in some of the advanced methods, too. Additionally, we’ll be adding intermediate/advanced material for web app users. Compelling. In depth. Informative. Invaluable content. Thank you, Greg! It’s a long reading. It’s very interesting! Thank you very much for sharing your knowledge. I learned a lot what I read.